Just got the new iPad. This amazing device has already revolutionized the way I use a calculator. Jewish fun fact: If you celebrate Passover on top of an overpass, you go back in time. And the Lord said “On the 7th day thou shall not tweet.” And he did not. And it was good. 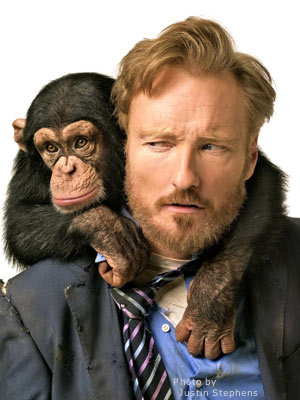 Read Conan O’Brien’s newest tweets by clicking here or follow him by clicking here (same link morons).